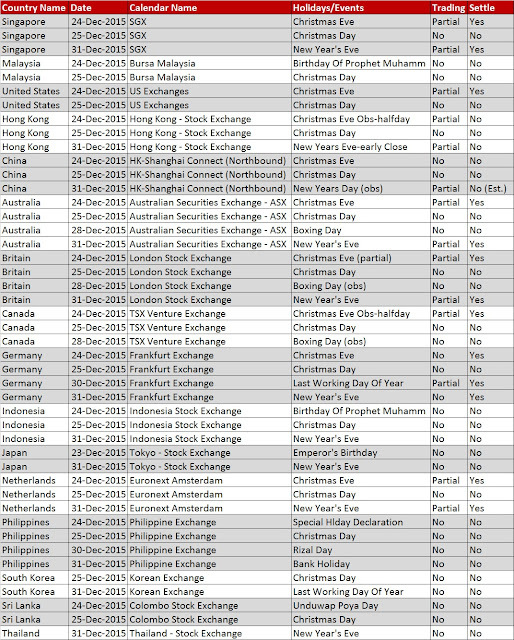 Trading Holiday for Dec 2015 for All markets that you must know! We would like to wish you Merry Christmas and Happy New Year! 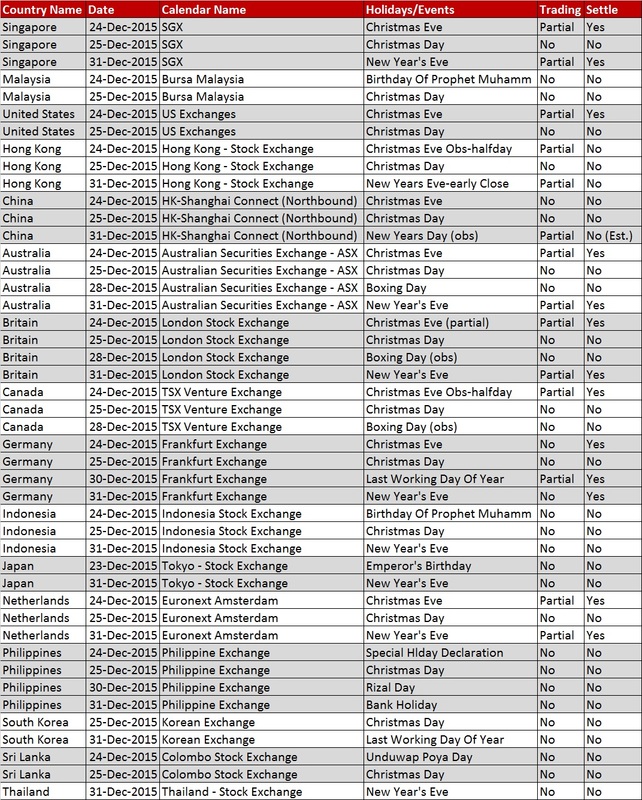 Please take note of the exchange holidays for the festive period ahead.